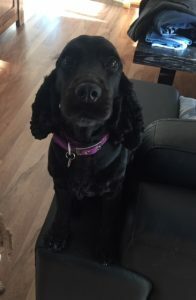 Cleo is a female desexed 2.5 year old black cocker spaniel. Cleo is a lovely young happy dog that enjoys a run around the yard and to play with her soft toys. She just fits in where every she is. 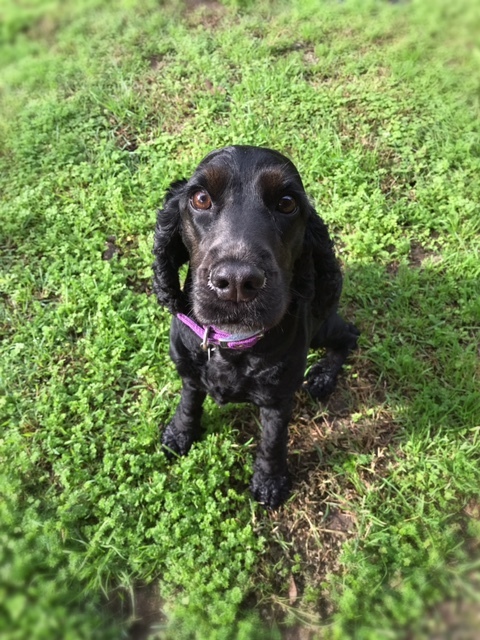 she walks well on the lead, is toilet trained and travels great in the car, loves swimming. Cleo is looking for a home where she is welcome as part of the family with another friendly dog or some kids to play with. The only small problem with Cleo is she is not any good off the lead. 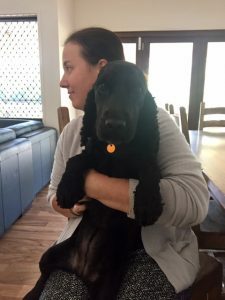 Although she has had professional training she has no recall ability and runs off at the first opportunity and is very hard to get back. She is not suitable to taken off leach a places like the beach or camping. Cleo will need a secure yard and a family that is mindful when opening doors and gates. If you would like to meet Cleo please give me a call to arrange a meet and greet.